We understand that hiring a DJ is intimidating for many people. Many people are not sure where to begin or what questions they should be asking. We have been in the professional DJ space since 2016 so we have a good understanding of how to help people figure out what they need or don't need. Hopefully our FAQ section will help you beome familiar with the type of service we provide and whether or not we are a good match for your event needs. We have seperated the FAQ section into 4 sections: General, Pricing, Music, and Equipment. You can skp ahead to each section or your can just browse through all the questions. Of course, reach out to with your additional questions. What does the DJ do other than play music? The DJ plays music, provided entertainment for your Guests, makes announcements, provides technical support for the sound system, keeps the event moving in accordance with the timeline, and acts as an extension of the event host. For weddings, the DJ is usually an essential part of the reception. For some events, the DJ may use music and well-timed announcements to help communicate your organization's overall message. When it comes to audio support, the correct term is sound engineer. As a sound engineer and audio technician the DJ will make sure event Guests can hear the music and audio properly. This means that the DJ will actually evaluate the room setup and determine the best speaker placement. When it comes to music, the DJ is also familiar with a multiple types of music from different genres and decades, as well as how to properly mix those songs together in a smooth, coordinated fasion. Does the DJ make announcements? The DJ will make announcements. For the most part, the DJ will limit the amount of time he talks on the microphone. Our motto is: Let the music do most of the talking. We prefer when you can provide us with an overview of what kind of announcements you will want us to make so that we can be prepared to transition between music and talking. However, we are professionals so we are able to handle last minute announcement requests. Will the DJ release the tables for dinner reception? If you have numbered tables, we will release table for dinner. From a Guest experience perspective, we think it is better when your caterer or event coordinator can provide this service. It is more personal when a person comes over to the table to let the Guests know that they have been invited over to the buffet line. We also have other fun methods for releasing dinner tables. Ask us about that when you have your phone consult. What if I don't want a "club" environment for my event? We can play any type of music that you want. It is important that you figure out your vision for the event prior to event day. It is also great if you can communicate the overall mood of the event to your Guests prior to event day. It is awkward when your Guests are expecting to party and dance, but you told the DJ to maintain a mellow mood. If you are unsure of what to expect, you should schedule a phone consult with us. Yes, we do have a written contract that we will sign using AdobeSign. We have liability insurance through a reputable insurance company. We have the ability to provide you with proof of insurance and we can add a named insured to our policy for a specific event. 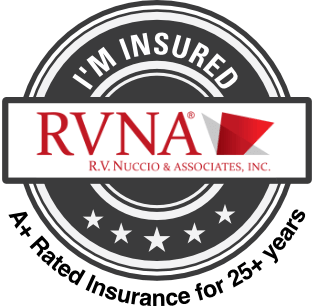 In addition to our insurance, we are highly aware of safety when providing service for our clients. We tape down wires and place our equipment in the most secure locations as possible. If you will have children at your event, we suggest that you tell the parents or event staff to supervise children at all times. Kids love to touch the dance floor lights, even when the lights are placed on or under a stage. How long does it take for the DJ to setup and breakdown? Depending on the location, we can be setup in as little as 20 minutes. For most events, we take about 1 hour. We usually request up 2 hours for setup time so that we have plenty of time to troubleshoot technical issues (i.e. missing power, coords not working, etc.). Breakdown usually takes 30 minute to an hour. We will always ask for a minimum of 1 hour to breakdown equipment. Many times our clients will ask why it takes so long to clean up and the answer is: we have lots of wires to unplug, wrap, and pack up. What kind of attire will the DJ wear at my wedding? Our typical DJ attire is a pair of solid color jeans with a polo, dress shirt, vest, or solid color t-shirt. For weddings, we dress in a business casual style. At your request, we will show up in semi-formal or formal attire. We prefer to keep it business casual because during setup/breakdown we tend to get a little dusty or sweaty. Of course, we can manage to swap clothes right before the event starts, if necessary. Do I need to provide a meal and drinks for the DJ? It is not necessary to provide a meal for the DJ. We usually do not eat (in front of Guests) during the event because we want to maintain a professional image. However, sometimes it is appropriate for us to eat so we do. Normally, we will eat before and after the event. Or we will step away for about 15 to 30 minutes to eat. As for drinks, we do not drink alcoholic beverages while we are working. However, we do not mind having some water or other beverages, especially for long or outdoor events. Is Hands On Music, LLC is legit business? Yes, Hands On Music, LLC is a legit Oregon registered business. You can search for our registration with the Oregon Secretary of State. Will the DJ show up for the rehearsal? We do not normally show up for a rehearsal (usually this is a wedding thing) because it takes away from our ability to book other events on your rehearsal day. If you want us to show up, let us know and we can talk about pricing. Do you have references I may contact? We do not maintain a list of reference contacts. We do have multiple reviews from previous customers available on Thumbtack and WeddingWire. How much does the DJ charge for equipment setup and breakdown? Setup and breakdown time is usually included in the package cost. It is just simpler for us to do it this way. If, for some reason, we need to charge a fee for setup/breakdown, we will indicate that on our price estimate. What if I am not sure which package is best for me? That's okay. We created packages as a guidance for our clients to see what services are most popular. However, you do not have to worry about telling us the specific package you want to use. Prior to signing a contract, we will have you fill out an event info form and then we'll figure out the package that results in the lowest price for you. Is a deposit required and why? Most of our events required a non-refundable deposit. The purpose of the deposit is to provide us with a small portion of income to start doing work to prepare for your event. We make the deposit non-refundable to prevent clients from booking us and then cancelling a contract later. If your organization has a policy or law that forbids you from paying a contractor until the work is performed (i.e. Schools or Government entities), just let us know. How much of a deposit is required to book the DJ? If a deposit is required, the deposit fee is usually $200. The required deposit amount will be indicated on the contract that you sign. We accept Electronic Bank Transfer and Credit Card via Online payments through your digital invoice. We also accept cash and check. If you write a check, please make it payable to "Hands On Music, LLC." Our mailing address is listed on the invoice. Online payments are processed through our accounting software provider (www.waveapps.com) and they use high level security. Will I receive an official price estimate? Yes, you will receive an official price estimate in your contract binder that we send electronically. Sometimes we will provide you with an official price estimate as soon as you provide us with enough details. Regardless, you will have a price estimate prior to signing a contract. Will I receive a receipt for my payments? Yes, you will receive a payment receipt as soon as your payment is fully processed. If you pay online, your digital invoice will automatically update as soon as you submit a payment. If paying by Cash or Check, we have to manually update the payment info. It usually takes about 48 hours for payments to process. We always wait for the payment to process and show up in our account (unless dealing with cash) because there is a chance that the payment can fail. What if I want to extend the length of service? Is there an overtime charge? No and yes. We do our best to work with you prior to the event to make sure that you are booking us for the right amount of time. If you request to extend the time we are there, we will most likely say yes and charge you at your package rate. If my event ends early, will you refund me a portion of the total price? We do not offer refunds for events that end early, unless we have an agreement in place prior to the start of the event. Under what name do I write the check? Please make all checks payable to "Hands On Music, LLC"
Can I provide a list of song requests? Yes, we prefer that you do provide us with some guidance on the songs you want to hear. We do have a song request system that you can use to plan your event, or you can send us your list by email. If you have a Spotify playlist, you can also share that link with us and we'll take care of the rest. In general, providing us with 15 to 30 songs is usually good enough. You can also distinguish between "must play" songs and "please play" songs. Can I provide a "do not play" list? If you have songs that you absolutely do not want to hear, please provide us with that list. It is never fun for us to start playing a song and then have someone come over shouting, "Turn it off. We absolutely hate this song." Can my event Guests make requests? Of course! We do our best to accommodate song requests on the spot. If we have access to WiFi or the ATT 4G network than we can even download songs on the spot. I will have friends singing a song, can the DJ provide mics? Yes, we'll need to know this in advance. If we need more than two mics, we use different equipment and there may be an additional fee. Also, it is usually best if we can do a sound check with the singers prior to event start. Trying to get the volume levels balanced on the fly is possible, but it is better to get some of that figured out before the singers start singing. Does the DJ provide microphones for the ceremony? We do provide a handheld wireless microphone for the ceremony and it is usually placed on a mic stand in front of the officiant. We also have a lapel wireless microphone, a head worn wireless microphone, and wired microphones. We use different mics depending on the venue and preference of the person using the mic. If possible, we use wireless microphones over wired microphones. However, wireless technology can be tricky so we always have the wired mics ready as a backup. Can the DJ do Karaoke? We have the capability to do Karaoke, but we will need to know beforehand because we'll need to modify our setup. I found a song I like on YouTube. Can the DJ play it? If the song is also available for purchase on Amazon or other digital markets, yes. We follow all copyright laws when it comes to obtaining legal music. We refrain from downloading music illegally. Can I plug my phone into the DJ's sound system? No. We do not want to take responsibility for anyone's phone or any of the music played from the phone. What if I don't like the music the DJ is playing? Music is an eclectic experience. There are many songs available in the market that you may like or dislike to a certain degree. If the DJ plays a couple of songs that you don't like, we suggest that you consider whether there are Guests who are enjoying that song. However, if you don't like any of the music that the DJ is playing (as the paying client), you should talk with the DJ about what you want. Provide the DJ with some guidance. Ideally, you will give us this sort of guidance prior to the start of the event. Do you have song suggestions for specific event activities? Yes, we have some ideas for keeping your event Guests entertained. Ask for our suggestions when you talk to us during your phone consult. How loud will the music/sound be? It is hard to provide a gauge of how loud the music will be without using scientific measurements that are probably not helpful for the average person. During dance parties or dancing portions of an event, the music will be at its loudest. We use quality speakers so that the sound is balanced and supports a better listening experience. During the socializing portion of an event, we usually play music at a comfortable volume so that Guests can still hear each other speaking. Sometimes we use multiple sets of speakers for large rooms so that we can use a lower volume setting and still get the sound to the back of the room. Whenever possible, provide us with some space between the speakers and the Guest areas so that your Guests are not having to sit, stand, or walk right in front of a speaker. With smaller venues, this will be a challenge. If you have a venue diagram, we can help you with laying out the room to get the best sound experience. Will the DJ bring their own equipment? Unless you indicate that your venue has a dedicated and sufficient sound system, the DJ will bring their own equipment. This includes speakers, microphones, and all of the DJ specific equipment. What if my venue provides a sound system? If you venue provides a sound system, you will want to verify that it is sufficient for the type of event you are having. For example, many convention centers use in-ceiling speakers that are designed for speaking and light music. When you hire a DJ, you will most likely need full output speakers that can handle high, mids, and lows. Also, you want to be sure that your venue system and the DJ's system can connect. It is usually best to have the DJ get in touch with the venue to confirm what types of equipment they are using and if it is suitable for what you are hoping to accomplish. We use professional audio equipment. For speakers we have two 12" tops and two 15" subs (all IQ Turbosound), a small mixer (Yamaha) and a medium mixer (Alesis), a Pioneer DDJ SR controller, a laptop, and various DMX lighting. We also have two IQ300 speakers (for use in wedding ceremonies or as a secondary set of speakers). In the future, we will have a list of all of our current equipment. How much space will the DJ need? For the actual area where we will setup our table and laptop, we need about a 6ft by 4ft area at minimum. It is usually best if you can share a picture, video, or diagram of the venue and where you want things to be setup. Otherwise, the venue may be able to give you suggestions on where DJ's normally setup. Do I need to provide a table and chairs for the DJ? It depends on your event. We have multiple types of tables that are suitable in different layouts and events. For big dance parties with lighting, we usually bring our own table because it is themed for the event. For a non-party type event, you can provide a table. Regardless, we usually bring a table with us because we want to be prepared.